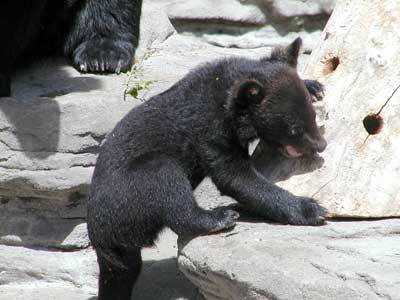 Black bears (Ursus americanus) used to be found throughout North America from Alaska and Canada to northern Mexico. 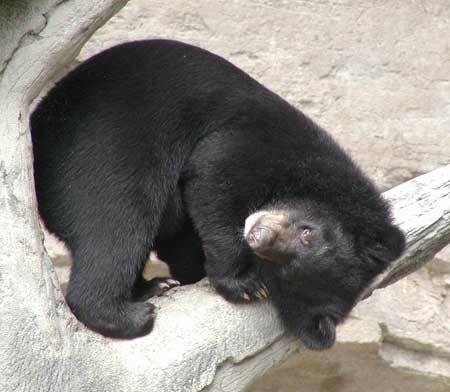 There are 16 subspecies of black bears based on genetic and morphological differences. 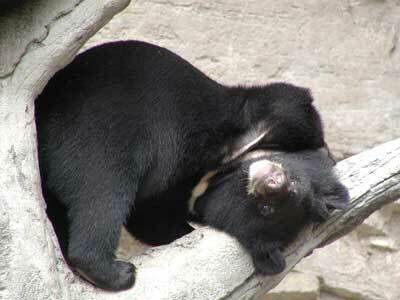 Black bears are the only species of bears in Mississippi. 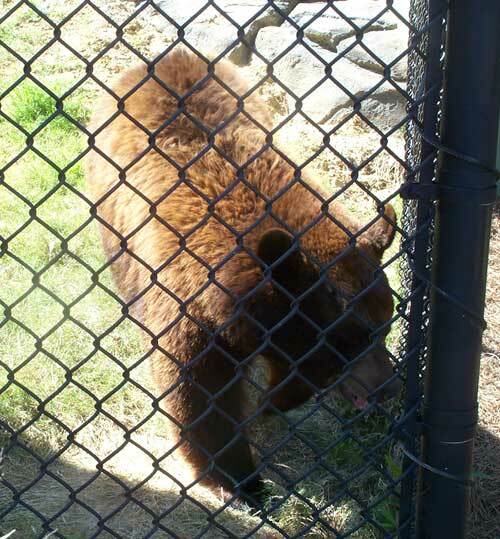 State Laws in Mississippi protects all black bears. Black bears are omnivores whose diet includes both plants and meat. 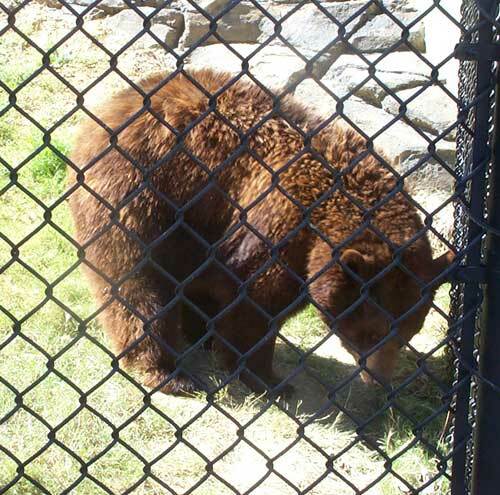 They are apex predators in North America, with the exception of areas where they coexist with the brown bear . The black bear eats a wide variety of foods, mainly herbs, nuts and berries. They also feed on carrion and insects (mainly for the larvae) such as carpenter ants, yellow jackets, bees, and termites. They do raid bees' nests for honey, but more importantly for the bee larvae which are an easy source of protein. They also kill and eat small mammals (such as rodents) and ungulates, mostly the young. Black bears will eat salmon, suckers, alligator eggs, crayfish, and trout and will raid orchards, beehives, and agricultural crops. They may frequent garbage dumps or may raid the trash bins of businesses or private homes. Black bears fur is dark brown, black or chocolate-brown. 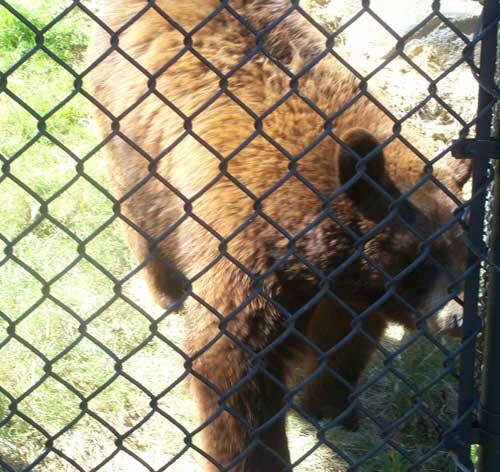 Some of bears in Mississippi may have a white chest blaze. 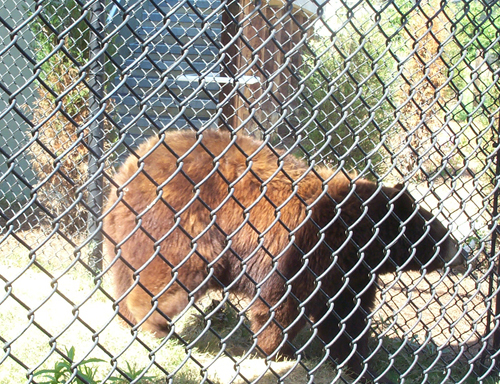 Bears see in color, have a keen sense of smell and hear very well. 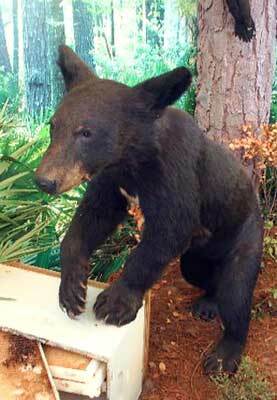 Black bears in the South are smaller than bears from the North. 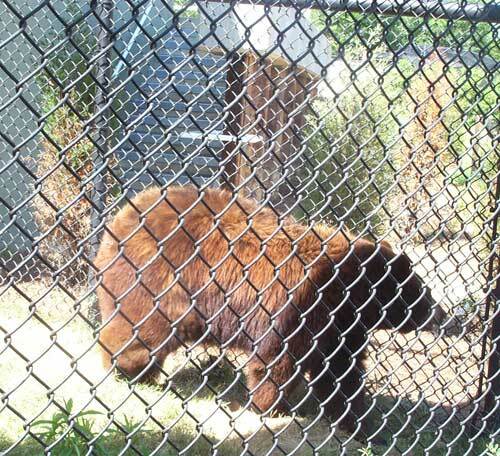 Adult Southern bears usually weigh between 120 to 275 pounds, although a very healthy male bear might weigh 400 pounds or more. Unlike many quadrupeds, the legs on one side move together instead of alternating, much like a pacer horse. Each paw has five long, strong claws used for tearing, digging, and climbing. The American Black Bear usually ranges in length from 150 to 180 cm (59 to 72 inches) and typically stands about 80 to 95 cm (31 to 37 inches) at the shoulder. Standing up on its hind feet, a black bear can be up to 7 feet tall. Males are 33% larger than females. Females weigh between 40 and 180 kg (90 and 400 pounds); males weigh between 115 and 275 kg (250 and 600 pounds). Adult black bears seldom exceed 300 kg (660 pounds) but exceptionally large males have been recorded from the wild at up to 240 cm (95 inches) long and at least 365 kg (800 pounds). 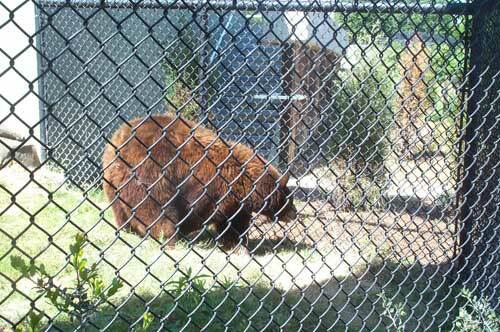 The biggest american black bear ever recorded was a male from North Carolina that weigh 880 lbs (400 kilograms). Cubs usually weigh 200 to 450 g (between 7 ounces and 1 pound) at birth. The adult has small eyes, rounded ears, a long snout, a large body, and a short tail. It has an excellent sense of smell. Though they generally have shaggy black hair, the coat can vary in color from white through chocolate-brown, cinnamon-brown and blonde (found mostly west of the Mississippi River), to black in the east (the same is generally true in Canada, the border being between Manitoba and Ontario). They occasionally have a slight V-shaped white chest blaze. The tail is 4.8 inches long. Ursus americanus floridanus Florida, southern Georgia and Alabama. Threatened. Ursus americanus luteolus eastern Texas, Louisiana, southern Mississippi Endangered.